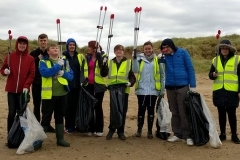 The whole of Bedford School, Bootle turned out over 3 mornings at the end of March to clean the beach. The weather was not brilliant but that didn’t put them off and one class at a time, they set off with great gusto. 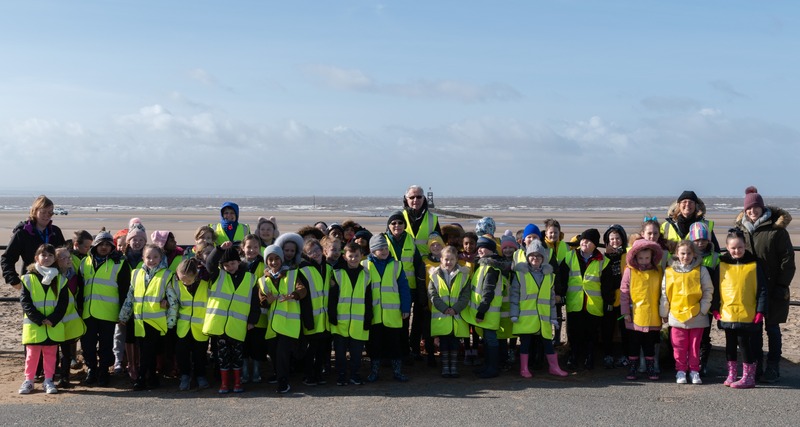 Carole Watson, the lead Science teacher, said “The children were highly enthusiastic about their trip to the beach and the role they are playing to help provide a solution to a worldwide problem. 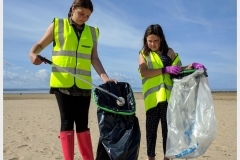 Before the visit the children had been learning about single use plastic and the danger it poses to the environment.” The FoCB team were very pleased to help out and the children were a real delight. 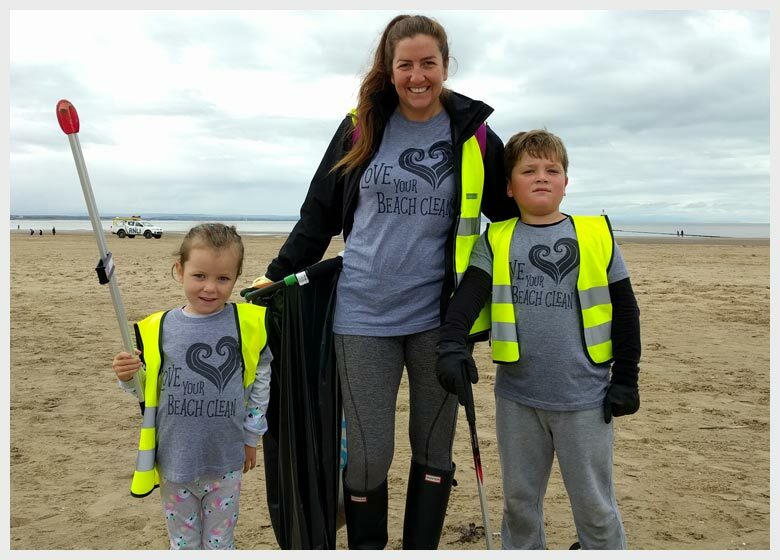 After the success of our first (see below), we are holding our second Marine Awareness Event on Saturday 18th May 1pm to 5pm. Details on the Calendar and Campaigns page. Don’t miss it! We are putting two extra cleans on Saturday in the summer for people who can’t make Sundays. See the calendar page. Well, we thought 2017 was a brilliant year, but 2018 was even better, with 580 adults and 116 juniors turning out. 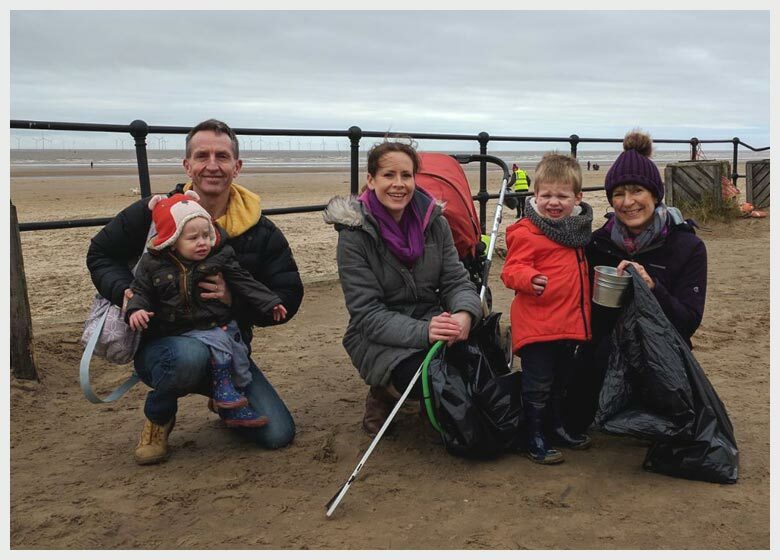 Between them they clocked up 1600 volunteer hours (the equivalent of a full-time paid worker) and collected 363 FULL BAGS – and by full, we mean just that as we combine the bags at the end of the clean so as to recycle the bags. 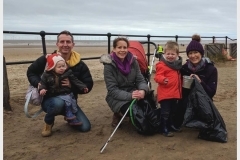 We organised a number of bespoke beach cleans for schools, firms and other organisations. If anyone else would like to come down in the week, please fill in the form on our Contacts page and we will do our best to accommodate you. 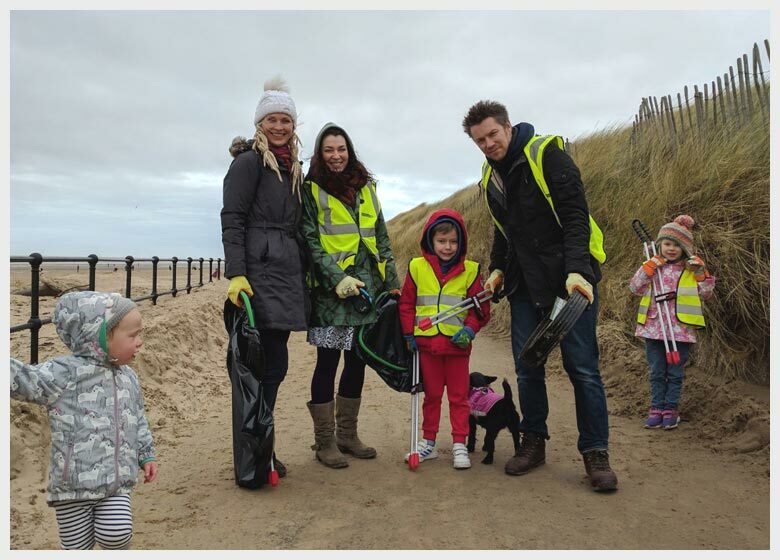 Well done to our volunteers who have turned out in all weathers to keep the beach clean and to prevent all this rubbish from being swept out to sea. St Mary’s pupils meet Pudsey! 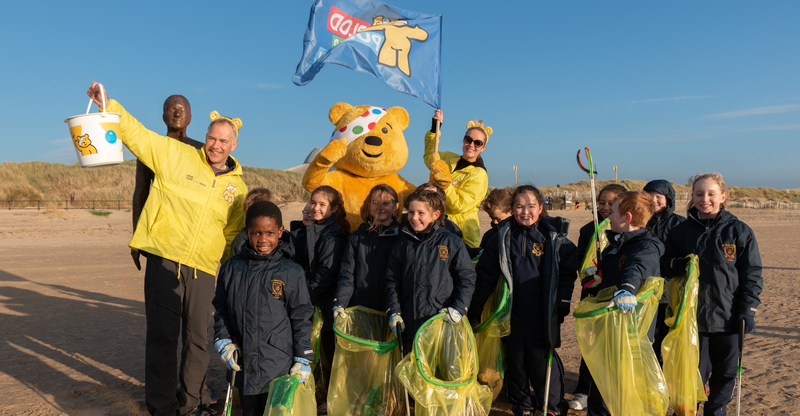 After a bespoke beach clean organised for some very enthusiastic young pupils of St Mary’s Prep School, who should come along the prom but Pudsey, with his friends from BBC North West, Roger Johnson and Beccy Barr who were raising money for Children in Need. 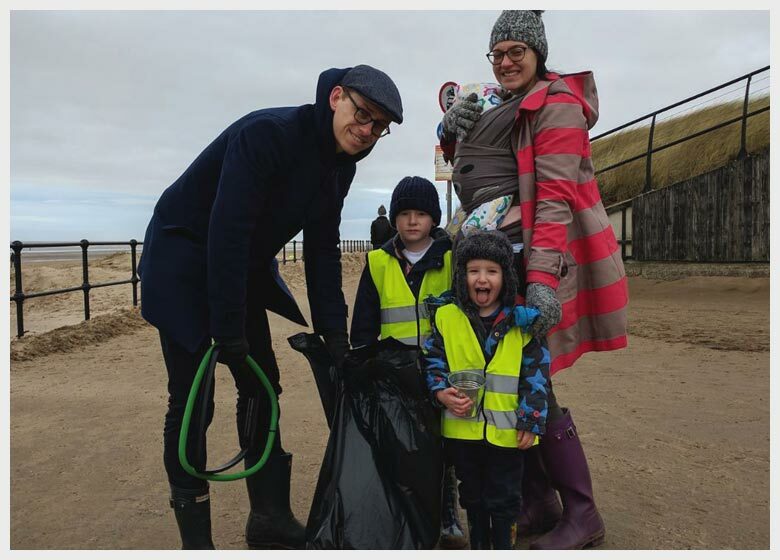 The children were really excited when he stopped off to say hello – a brilliant end to a brilliant beach clean. We desperately need more equipment and clearly we have very little means of raising funds ourselves. 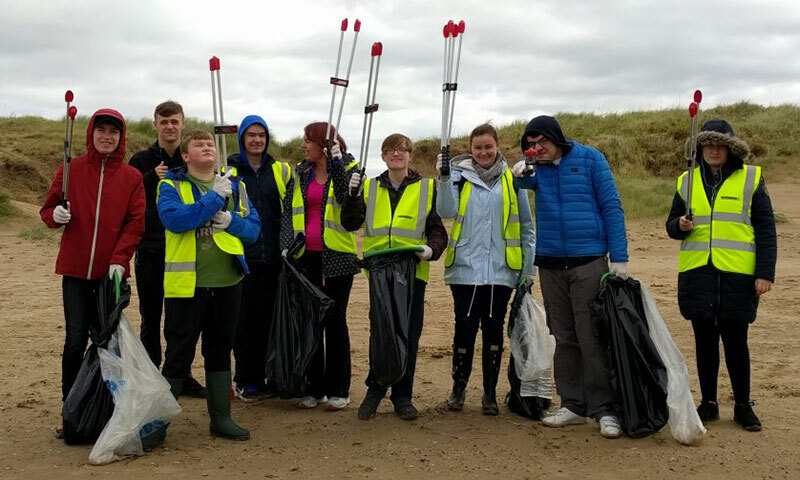 Our volunteers do enough to clean the beach without having to raise funds. So, we are enormously grateful to Unison in Waterloo for giving us £500 and we are delighted that we have been successful in securing a grant of £500 from Sea Changers. 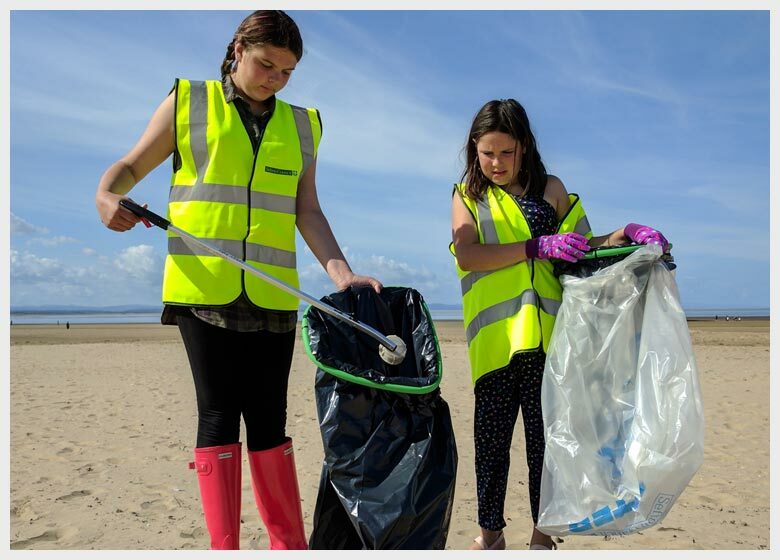 That’s not all – we have been successful in our bid to Tesco Bags of Help. Thanks to our wonderful supporters and volunteers who shopped at Tesco and gave us the tokens, we were awarded £2000. We can well and truly stock up on equipment now! 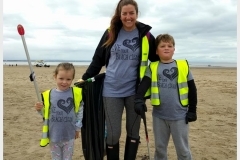 LovemyBeach have placed a 2-minute beach cleaning board outside Crosby Leisure Centre so that people can take some pickers and a small bag to pick up some rubbish as they go for a walk. What a great idea! Thank you to LovemyBeach and also to Crosby Leisure Centre for agreeing to put the board out and take it in every day. The bad weather didn’t spoil our first Marine Awareness event. 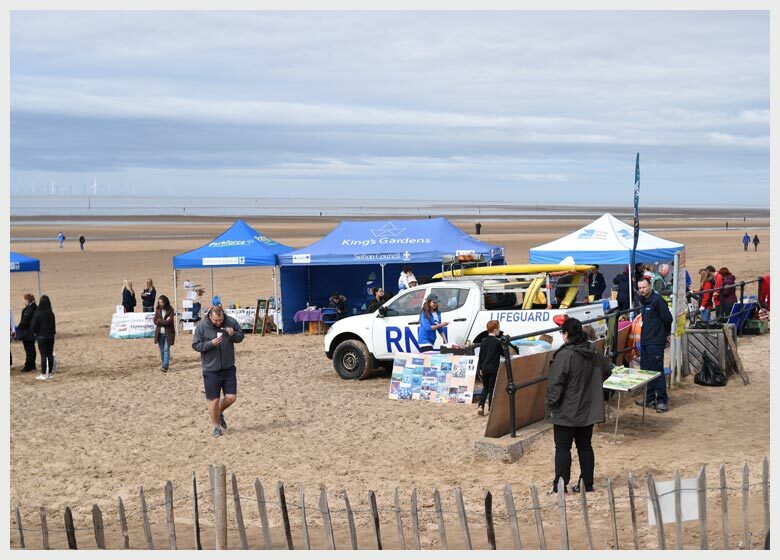 There were lots of different stalls and activities and it was very much hands on as well as finding out and exploring the marine environment in all its many facets. 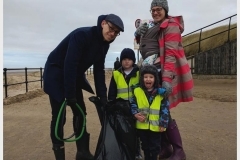 There was the usual amazing turnout for the beach clean, with 71 adults and 31 children keeping 62 bags of rubbish out of the sea. With thanks to all the groups who set up stalls and did such a wonderful job spreading the message as well as all our enthusiastic visitors. 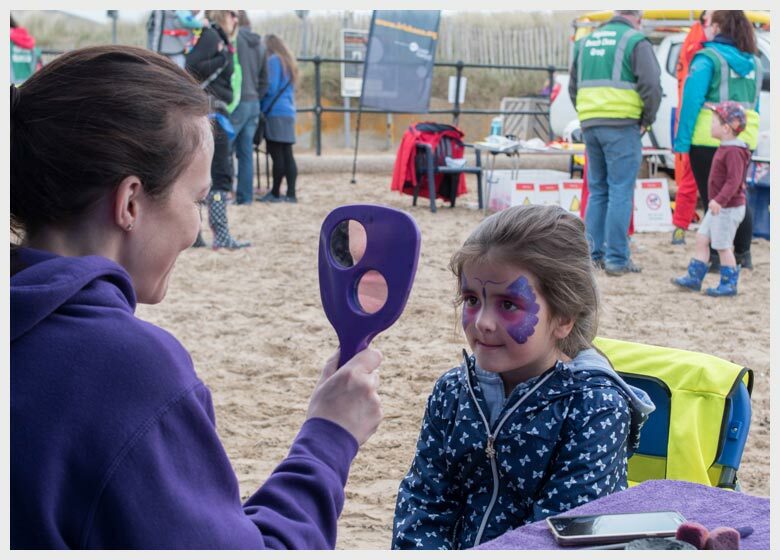 Finally, our grateful thanks to Blundellsands & Crosby councillors who secured a grant for us to fund the face painter and all the promotional material. Here’s to the second one!